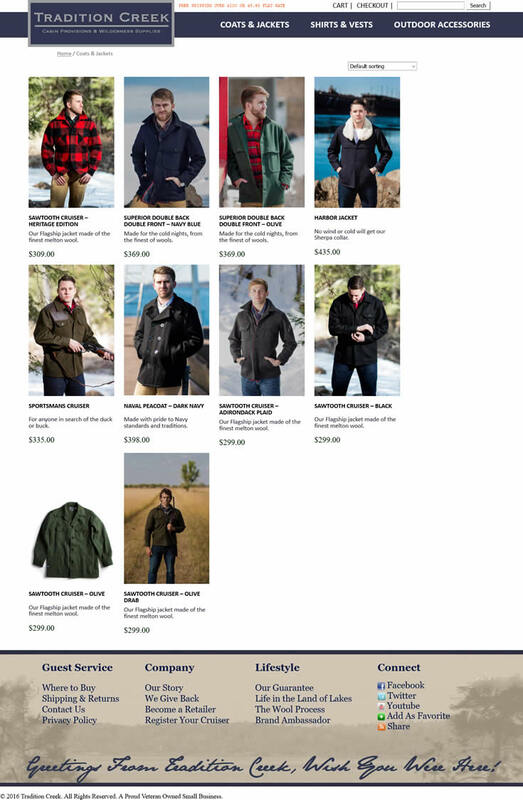 Tradition Creek is an outdoor store with signature American made apparel. I do full stack development for it. The site is running on WordPress with WooCommerce (outfitted with several plugins) to handle the buying transactions. The site is responsive for tablets and computer and has a special phone version for smaller screens.